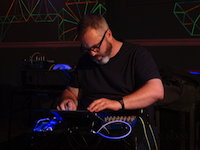 Highlights from the KEVSAB set at the National Electronics Museum 2016 Electronica Fest. KEVSAB is a collaboration between alternating.bit and Kantoendrato. Music from KEVSAB is available on Bandcamp. Next Next post: Kantoendrato studies: Modular therapy.